@little_memories is on Carousell - Follow to stay updated! 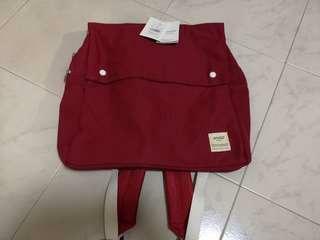 Unique red Anello backpack; BNWT. Authentic, got it from Fukubukuro buy. Length 34cm, Height 36cm, Width 8cm. Original ¥3900. Price negotiable. Self collection or meet up can be arranged. 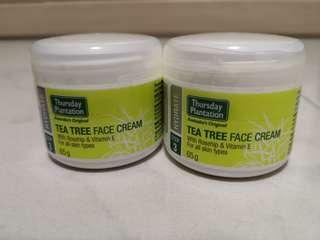 Thursday plantation tea tree face cream Step 3 of skin care. 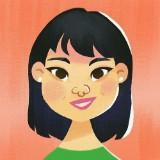 Refer to other listings for steps 1 and 2. One for $14; two for $25. Both are brand new. Can't find in Singapore. Expiry April 2020. Self collection or meet up can be arranged. 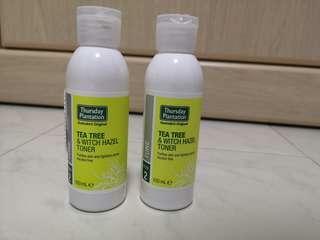 Thursday plantation tea tree witch hazel toner. Brand new, expiry March 2020. 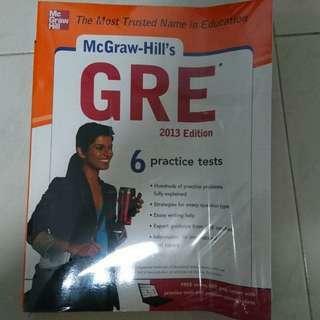 Can't find in Singapore. Sold separately at $11 each Buy 2 @ $20 Self collection or meet up can be arranged. 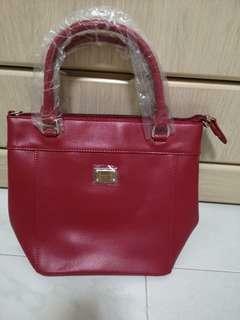 Brand new red leather Tocco Toscano bag. Handle and sling still wrapped in plastic. Base: 22cm X 12cm Height: 24cm Dustbag provided. Self collection or meet up can be arranged. Price negotiable. 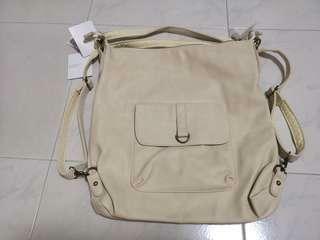 BNWT cream coloured Legato Large bag. 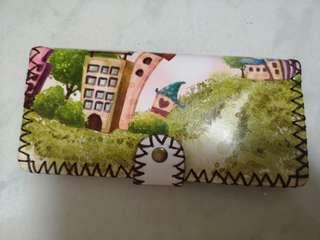 Can be carried as handbag, sling bag or backpack. 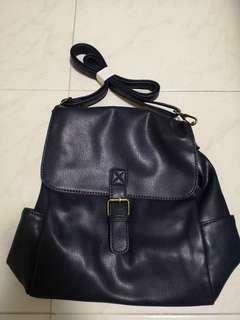 L 33cm X H 36cm Synthetic leather. Authentic. Got it from Fukubukuro buy. Self collection or meet up can be arranged. BN wallet with 11 card compartments. 1 zip pocket for coins. Synthetic leather. Meetup or self collection can be arranged. 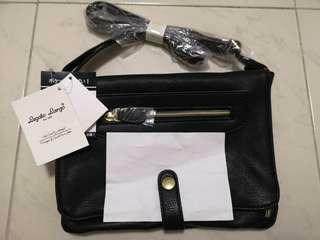 BNWT Legato Large handbag. Multiple ways to carry: shoulder / sling. Handles are still wrapped up. 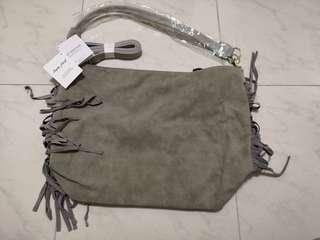 L 28.5cm X W 15cm X H 30cm Synthetic suede leather. Authentic legato large, got it from Fukubukuro. Original ¥4900. Self collection or arrange to meet up. 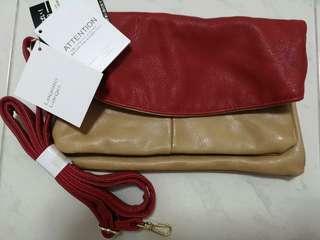 BNWT Legato large sling bag. Folded: L 25cm X H 15cm Unfolded: L 25cm X H 26cm Great for gift exchange in this festive season Synthetic leather. Authentic, got it from Fukubukuro. Self collection or arrange meet up. 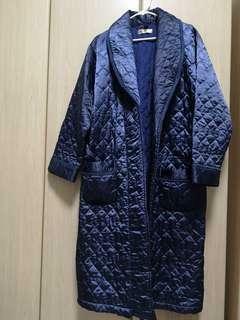 Quilted navy blue sleeping robe. Suitable for cold weather. In good condition. Rarely worn. Self-collection. Price negotiable. 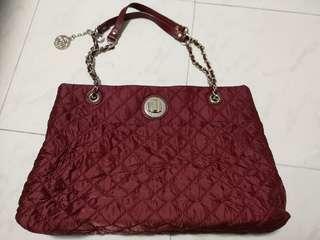 Quilted fabric wine red textile and leather trim shoulder bag. Multiple ways to carry the bag: shoulder bag or pull strap to wear as a cross body. - Leather woven through the chain straps and leather strips at the top of the straps. - 2 interior zip pocket, turn lock closure. - L 15" X H 10.5"
Pre-loved in good condition. Clearing wardrobe. Comes with original receipt and dustbag. Dimensions: 13"W X 15"H X 5"D Interior zip pocket and double slide pockets. 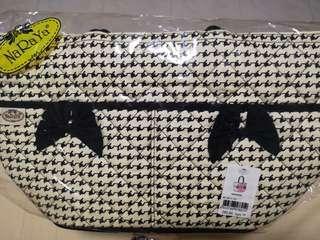 BNWT Long handle sling is still bundled up. Original ¥3200 Sling bag which can be hooked and made into a backpack. 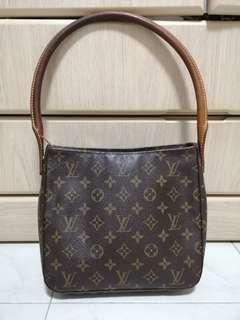 Measurement: L22cm X H27cm X D10cm Authentic. Got during a fukubukuro buy. Totally untouched, still in plastic wrapper. 2013 edition. Cash on delivery. 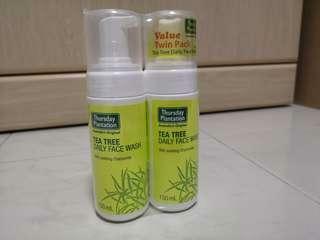 Thursday plantation tea tree daily face wash Foam base Brand new, expiry March 2020. Can't find in Singapore. Twin pack at $25 Sold separately at $15 each Self collection or meet up can be arranged. Additional charge incurred for Smartpac lite delivery. Melissa Just Dance Size 37 Worn less than 5 times Dust bag provided Clearing space for new shoes. Self-collection or meet up can be arranged. Price negotiable. 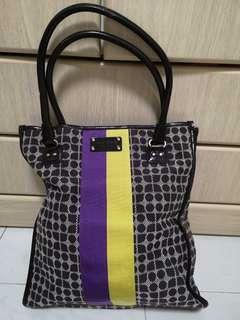 BN Naraya handbag L 33cm X H 19 cm X W 10cm Self collection or arrange meet up. Material: Monogram coated canvas with natural leather trim Measurements: L9.5" X W4" X H8.5" Interior pockets: one zip pocket and one small pocket (which fits old cellphone models) Handle: Single rolled leather shoulder strap Condition: Used Price negotiable. 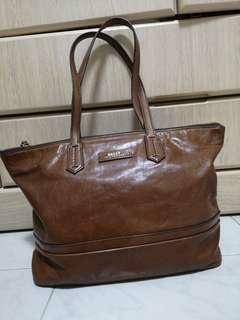 Used Bally chocolate brown leather tote bag. Handy and light. W31cm X H23cm X D13cm (W12.2 X H9.1 X D5.1 inch) Dust bag included. Price negotiable.